Rascals Brewing Company in Inchicore has come up with some pun-tastic names for the pizzas in its new restaurant. 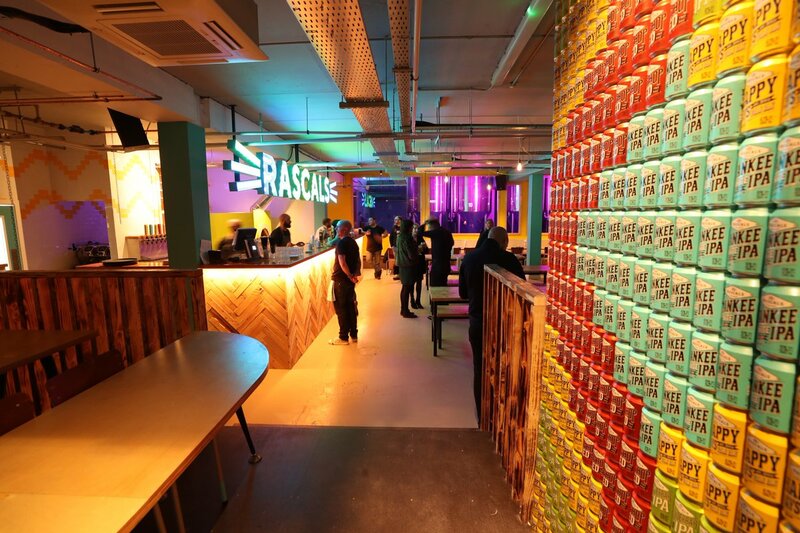 Serving up a choice of six pizzas, each dish name pays tribute to the local area around Rascals HQ in Goldenbridge Estate. Pepperoni is a classic topping, and Rascals have combined it with chorizo, jalapenos, and roasted peppers, on a pizza suitably titled ‘Meat Me In Inchicore’. 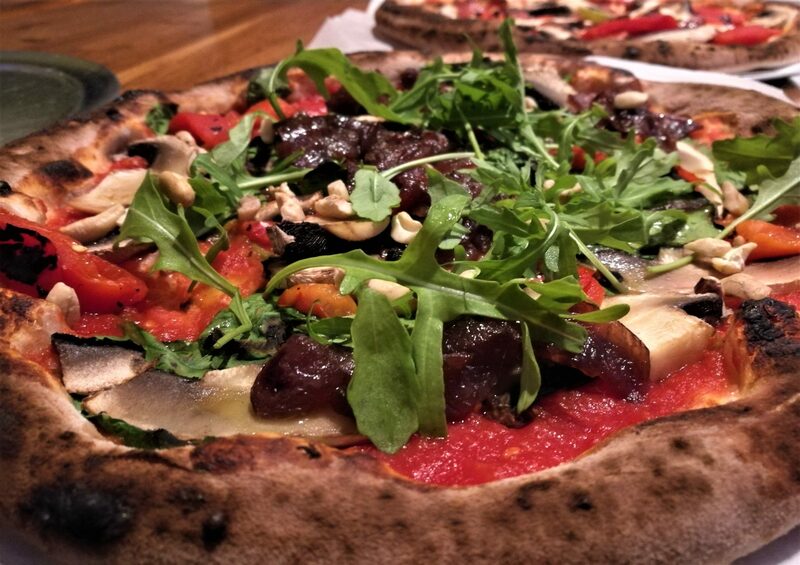 The vegan option has roasted peppers, rocket, spinach, cashews and mushrooms, which is why ‘Fungi The Dolphin’s Barn’ is what you need to ask for when ordering that one. 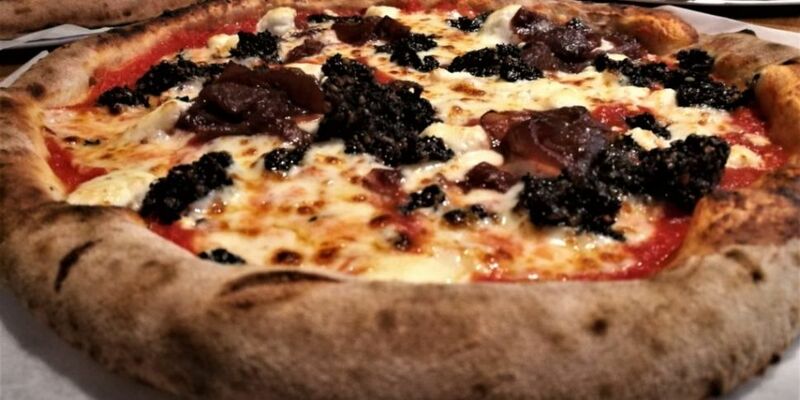 If you like your black pudding, you’ll enjoy the combination of it with goats cheese and caramelised red onion. It’s a pizza called ‘The Dublin Ate’. By all accounts, Dublin 8 is certainly eating a lot of that one. You might also want to select a white pizza option. With no tomato sauce, this increasingly popular style of pizza has among its ingredients Parma ham, roasted cherry tomatoes and parmesan. It’s called ‘The Kilmainham Pale’. There’s even a pizza named after the local League of Ireland club St. Patrick’s Athletic.